Underneath the former medieval convent of San Giovanni in Orvieto lies the regional wine library of Umbria, containing over 120 different labels of the best locally grown wines. Displays line the walls along caves and tunnels that have been dug out of tufa rock from as far back as the Etruscan era. 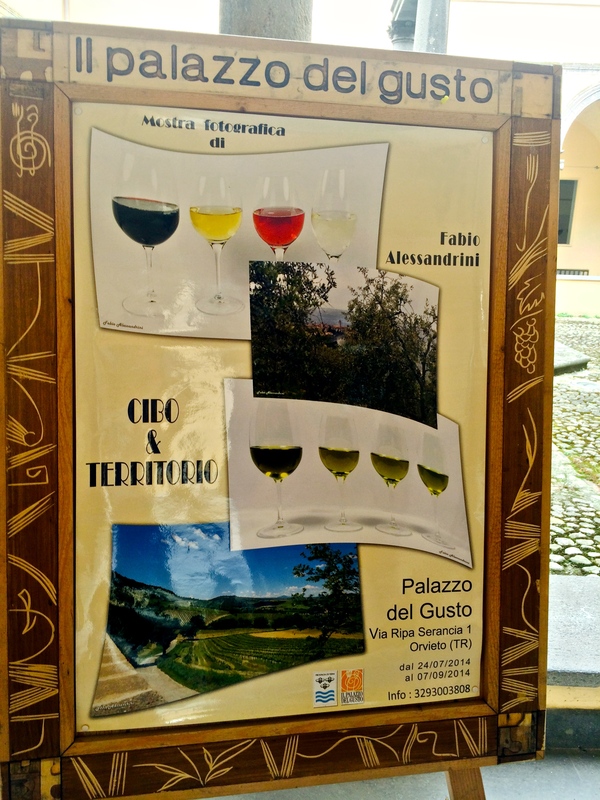 All are listed as DOCG, DOC, and IGT wines grown from the areas most prestigious vines. Touch screens accompany several wine displays, packed with information to acquaint yourself with the featured wine. Sixteen different wines can be sampled from automatic dispensers. 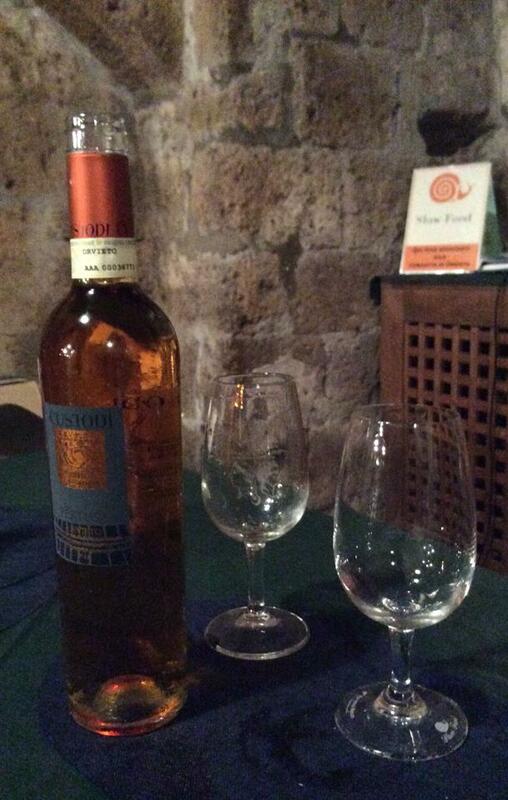 Il Palazzo del Gusto, the Palace of Taste, is more than wine. As part of the Slow Food experience, it is a cultural association that promotes the local artisans, farmers and traditional cuisine through regional events such as wine tastings, farmers markets and taste workshops. Slow Food is Italy’s alternative to fast food. Italy’s Slow Food movement began in 1986 by Carlo Petrini, a food writer living in Rome. He launched a local protest to resist the opening of the first McDonald’s in Italy located near the Spanish Steps. Although there are other McDonald’s in Italy, you won’t see familiar chains such as Starbucks. The Italian culture resists the values and concepts of these institutions. 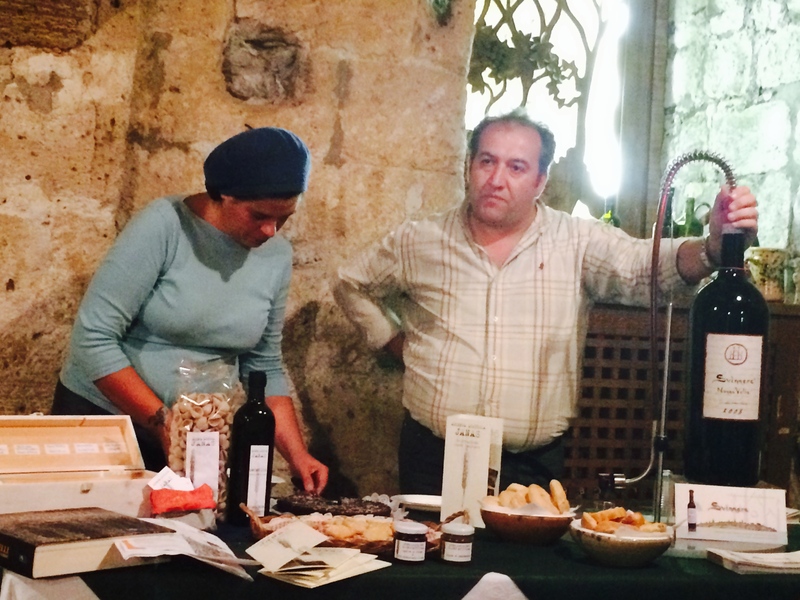 Slow Food aims to promote centuries-old traditions of gastronomy and local farming. Tourists want to understand the culture, so restaurants open their doors in an effort to show them how their products are produced. It opposes globalization (food grown in another country), and industrial food production. The Palazzo del Gusto in Orvieto is committed to preserving the local traditions of food and wine in the region of Umbria. Food education and training courses are conducted along with tasting, craft and art events. 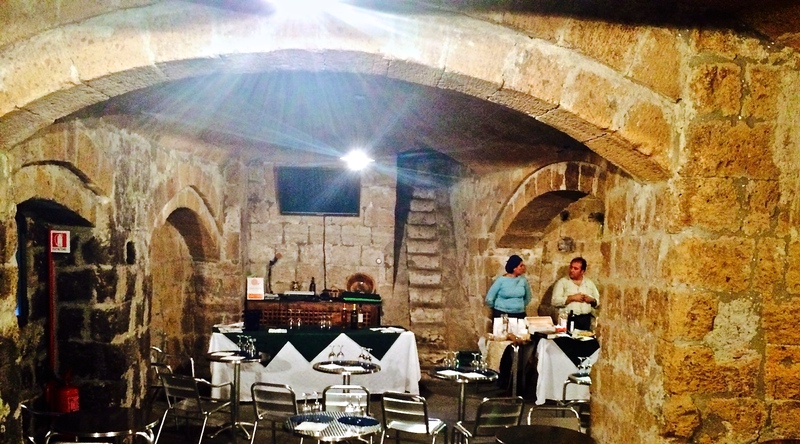 The restored cellars contain a kitchen for the purpose of training professional chefs as well as amateur tourists in the art of traditional Umbrian cooking. 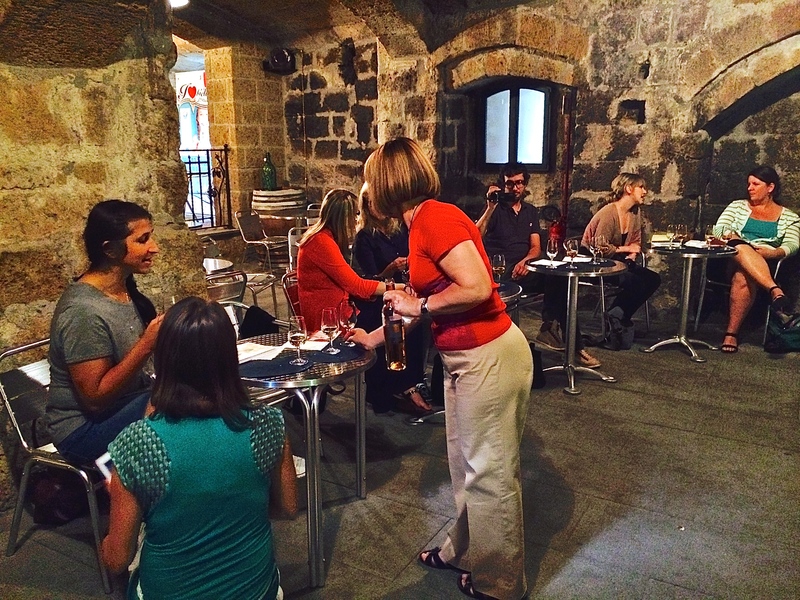 Inside the cellar of the convent, there is seating around small tables. Slow Food supporters share their thoughts concerning the relationship between the small local producers and chefs in local restaurants. 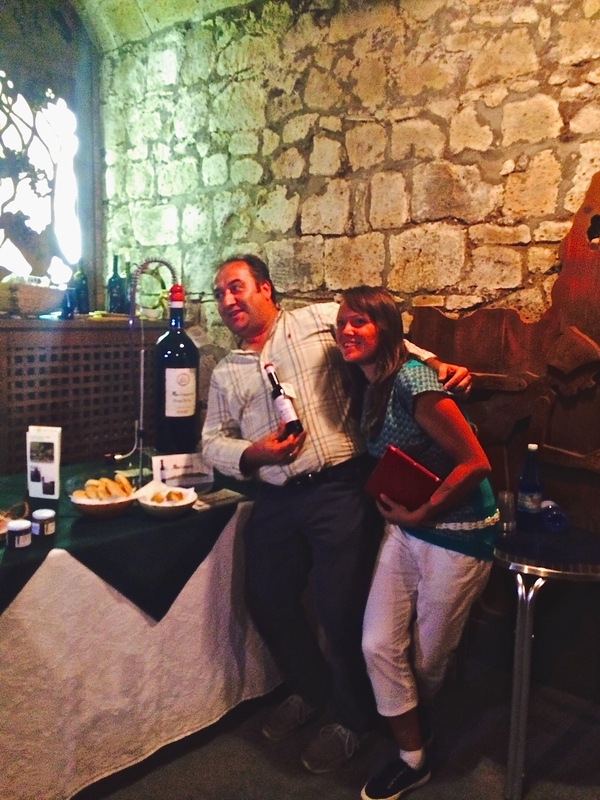 Many strive to keep the local cuisine and wine available to tourists as an important factor of the total tourism experience. 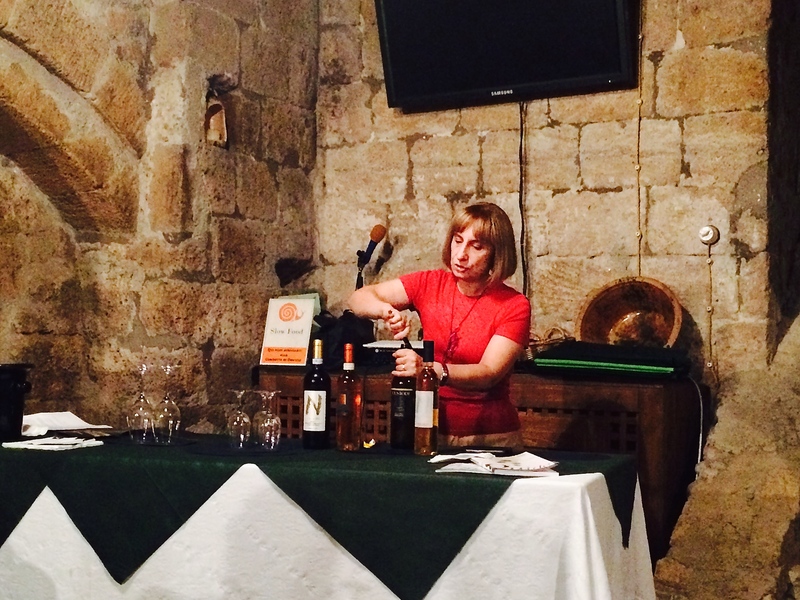 Wine tours grant an education in all phases of wine production, including tasting along with the local cuisine. This provides an opportunity to meet the small producers in Italy and to experience the centuries-old tastes of the region. After a series of wine tastings, people start to loosen up! In a world gone crazy over fast food that lacks nutrition from freshly grown ingredients as well as the absence of taste from traditional recipes prepared with care, Il Palazzo del Gusto is an anchor of hope. Come for a guided visit inside the Palazzo and discover the real essence of Italy for yourself. ← Will You Travel To Italy With Me This Year? Look forward to visiting it next time I go back as I didn’t know it was there on the last visit. I really hope that you do. You would love it! Sherri, so good to hear from you! This is why I write about these delightful tidbits….just like you, to escape the miserable cold wet grey winter weather. Summer always comes:) Thank you dear friend. What a fabulous way to spend time. Great combination of some of my favorite pastimes. Good wine Good food Good conversation. Fun. How innovative. A wine library! !!!! A great discovery!! I was blown away….and would love to go back. Wow Susan! A Wine Library.. Would love to visit it! 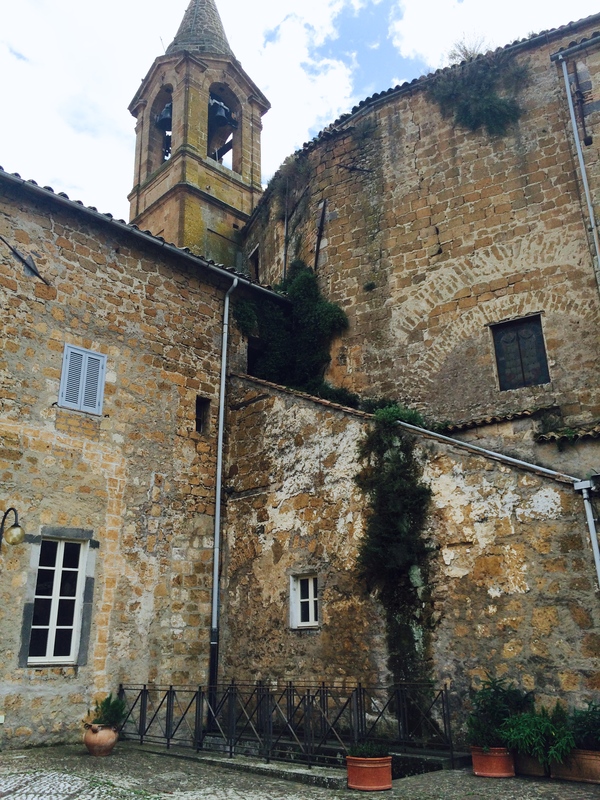 Ishita, please do if you find yourself in Orvieto!! A wine library! I love it!!! We have a lot of slow food assoc activities here in Sicily as of course the Sicilians really do know how to appreciate good food and wine! 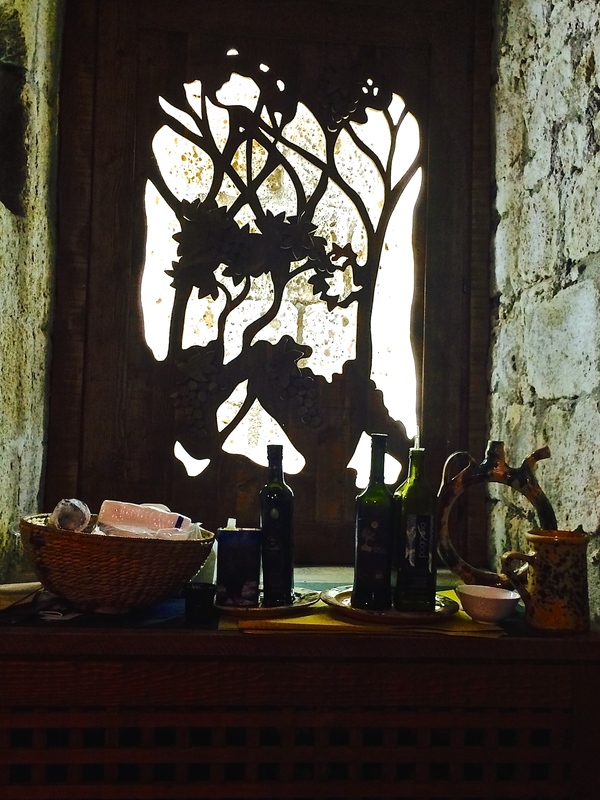 I was taken by this wine library as well…I love the entire Slow Food movement! !